Home » What Is the Graston Technique? Are you suffering from chronic muscle soreness and stiffness? Do you have carpal tunnel syndrome, plantar fasciitis, tennis elbow, or another soft tissue injury? Are you looking for a non-invasive treatment that can reduce your pain and increase your mobility? If so, the Graston Technique may be right for you. The Graston Technique is a type of therapy used by chiropractors, physical therapists, and other health practitioners to mobilize soft tissue. The technique is similar to regular manual therapy, but deeper. Instead of using only their hands, practitioners use stainless steel tools to identify knots in the muscle or fascia, the body’s connective tissue. They run the tools along your skin to find scar or fibrous tissue that might be causing discomfort, pain, or stiff movement. Once the knots are located, the tools are then used to break up the tissue and bring back normal mobility. How Quickly Does Graston Work? The length of treatment differs from patient to patient. Most people require one to two treatments per week over a one-month period. It’s possible for patients to experience pain relief and increased mobility in as few as three sessions, but more chronic conditions can take longer to see improvement. Is the Graston Technique Used With Other Therapies? The Graston Technique is most often combined with warm-up activities, stretching, and strengthening exercises. Practitioners may also recommend icing after treatment. The technique can also be used in conjunction with other nonsurgical therapies such as acupuncture or dry needling. What’s Special About Graston Tools? The Fascial Abrasion Technique (FAT) tool has several edges that allow the therapist to work on different areas of the body. It’s designed with a special textured surface that maximizes its efficiency while eliminating the need for intense pressure that can result in bruising. As with anything regarding your health, it’s important to seek treatment from a certified professional. Ask your practitioner if he or she is trained in the Graston Technique and qualified to perform it. 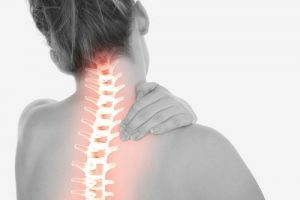 When performed correctly, the treatment is relatively pain-free. If you experience pain, let your therapist know. A good practitioner can adjust the intensity of the treatment to decrease discomfort. Chronic pain and stiffness can reduce your quality of life. Fortunately, there are treatments available that can increase your mobility and ease your discomfort. The Graston Technique may be the method you need to restore your physical function.